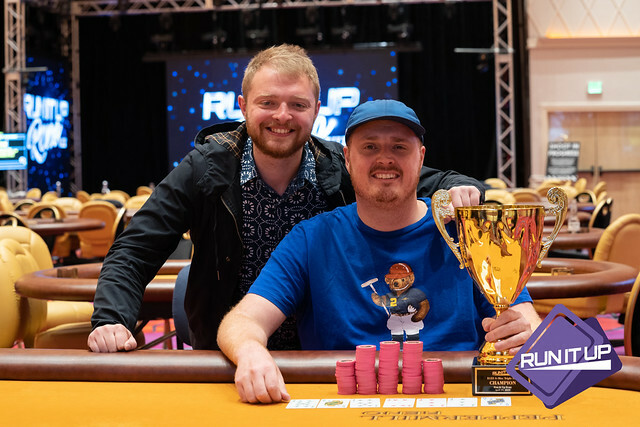 To qualify for the Last Warrior Standing drawing, participants must be the last player remaining in any qualifying Run It Up Reno VIII Tournament wearing Run It Up gear, Team RIU member gear, or Andrew Neeme gear. 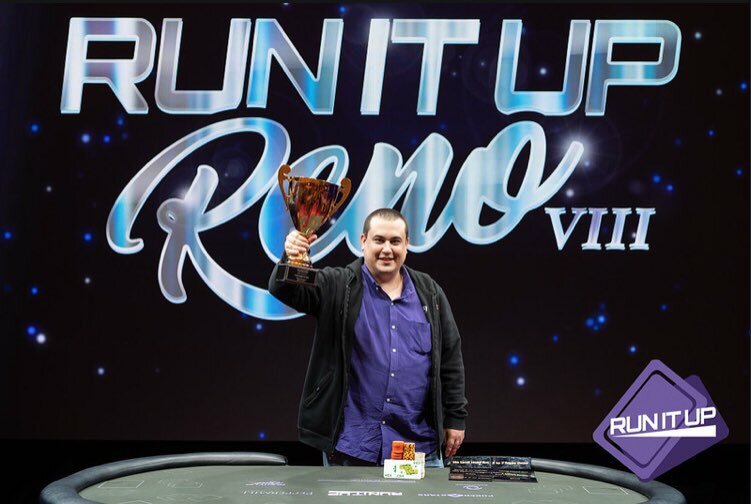 Qualifiers will receive entry into a drawing taking place on April 21st for their chance to win one prize package to attend Run It Up Reno in October 2019. 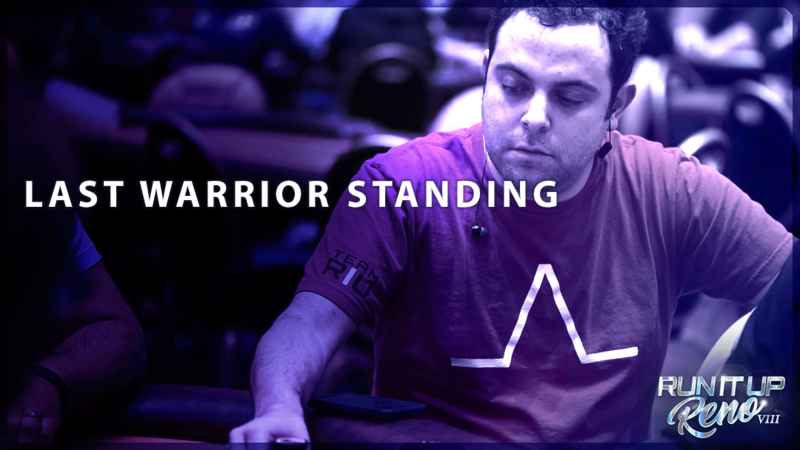 One (1) Last Warrior Standing Drawing entry will be awarded per specified tournament. If a Qualifier achieves Last Warrior Standing in multiple tournaments, they will receive one (1) Last Warrior Standing Drawing entry per specified tournament. 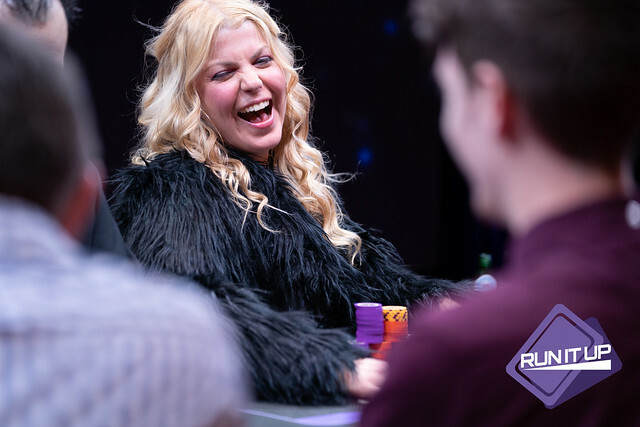 Drawing will take place at or around 2pm on April 21, 2019 during the first break of the Main Event, Day 2 at Run It Up Reno VIII. Qualifiers need not be present to win. One (1) name will be drawn. If not present at the time of drawing, the Winner will be contacted via phone and email provided at the time of qualification and will have 48 hours to claim prize. If Prize Package is not claimed within 48 hours, Winner forfeits the Prize Package and another name will be drawn. 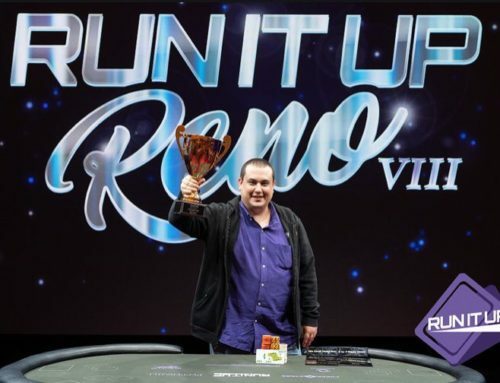 Prize package includes one (1) entry into the Run It Up Reno IX Main Event ($600) taking place October 2019, transportation credit (up to $900.00), and choice of six (6) complimentary nights hotel accommodations ($1100 value) at Peppermill Reno. Restrictions apply. Hotel stay must be used in conjunction with the Run It Up Reno IX event. The prize package has an estimated value of $2,600. 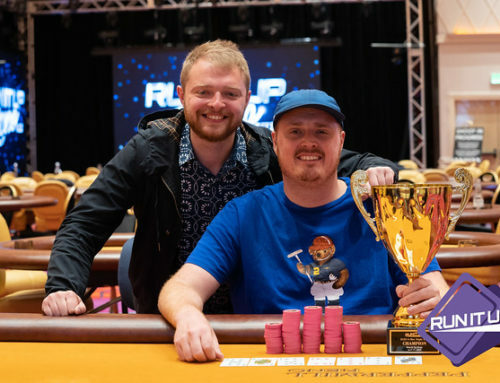 If our Last Warrior Standing Drawing winner is unable to attend Run It Up Reno IX, they have the option of receiving a one-time $1,500 cash payment instead of receiving the full prize package. 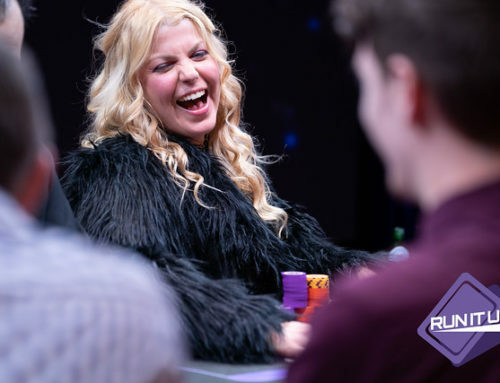 Prize Package is non-transferable and awarded by the Peppermill Hotel & Casino. Management reserves all rights to cancel or revise this promotion at any time without notice.